PowerShell ISE Both Free Included in PowerShell V2 and V3. In Windows Server 2008R2 can be installed as a feature. 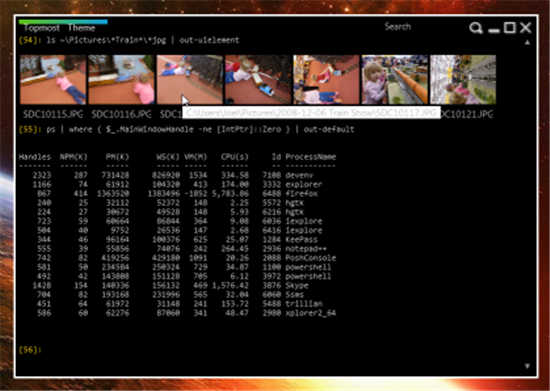 Comes with PowerGUI, a tool that allows you to build graphical MMC-like interfaces on PowerShell commands. 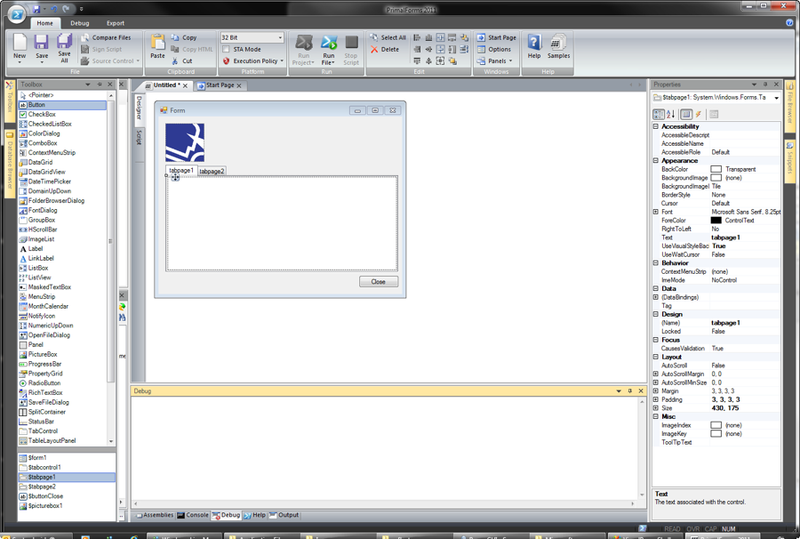 Admin Script Editor Editor $99/$199/$299 This is now a free editor but it is no longer under development. It still has some bugs but the Form Editor is pretty good. 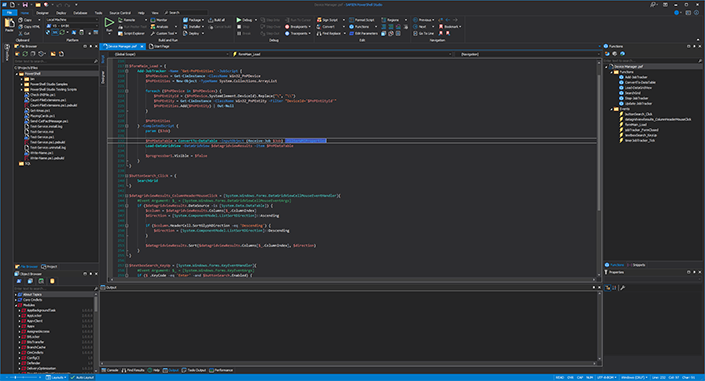 PowerShell Studio 2016 Editor $349 The package allows you to create scripts PowerShell, but also it allows to easily build graphical applications based on PowerShell through form designer. 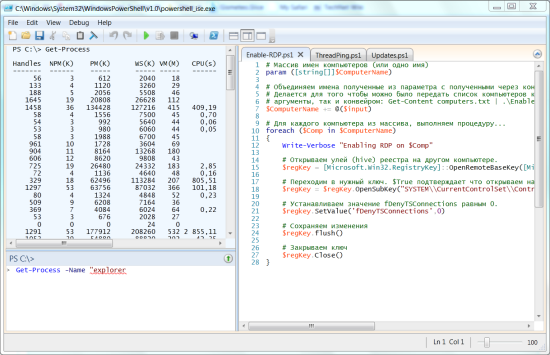 PowerShell debugger and script packager. PrimalPad 2016 Editor Free Free VBScript, JScript and PowerShell Editor that fits on a thumb drive and requires no installation. 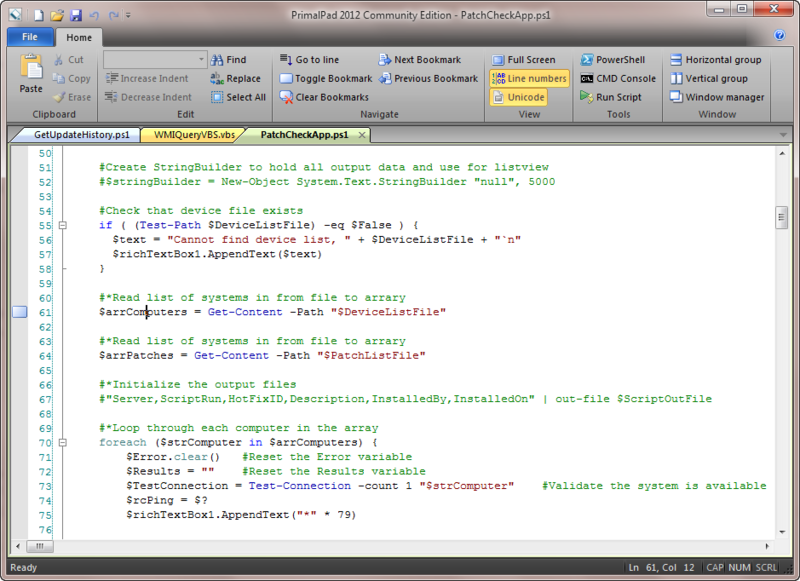 Power WF Workflow Editor $649 Allows creating PowerShell scripts as a graphical workflow. PowerShell native hosts are described here.